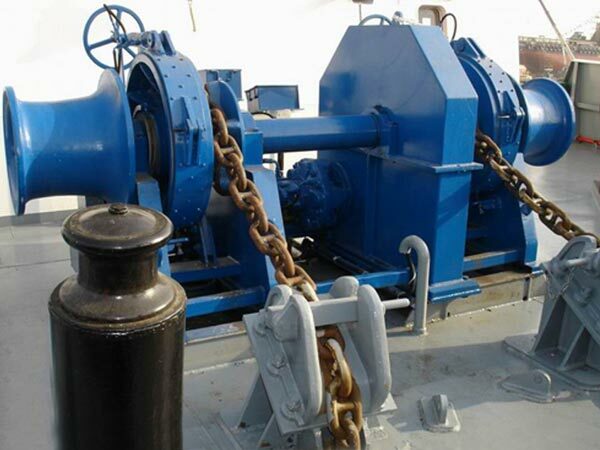 Gypsy winch, also known as chain gypsy winch, is the winch with gypsy wheel that is used to wind the chain during anchoring operations and it is installed on ship deck. There are different types of gypsy windlasses as follows: electric single gypsy drum windlass, hydraulic single gypsy drum windlass, electric double gypsy drum windlass, hydraulic double gypsy drum windlass, electric single gypsy drum combined windlass, electric double gypsy drum combined windlass, hydraulic single gypsy drum combined windlass and hydraulic double gypsy drum combined windlass, diesel engine driven gypsy windlass and so on. 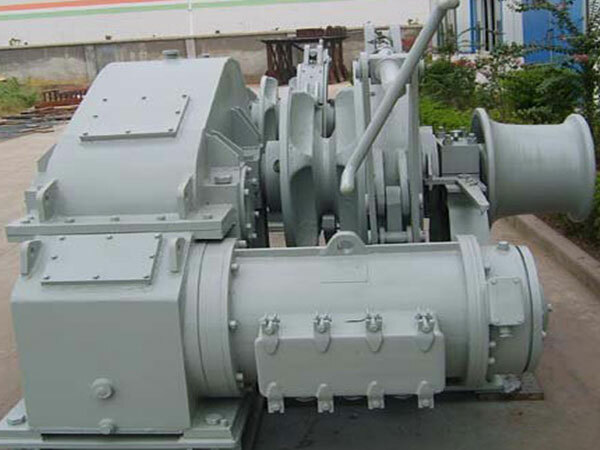 Gypsy winches with different configurations are used on different shapes of vessels for anchoring operations. 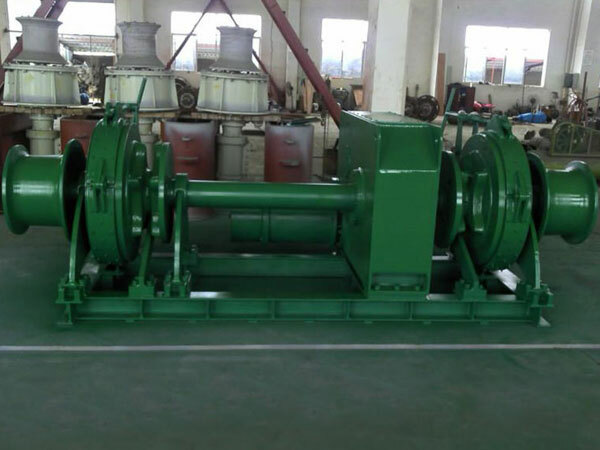 For gypsy winch, the main parts consist of base, shaft, support, gypsy wheel, chain stopper, brake, gearbox, electrical control system etc. The chain attaches the anchor to the boat, which is used to let in or release the anchor during anchoring operations via gypsy wheel. The chain stopper is set to fix the chain avoiding that the anchor chain slips out. During the anchoring, the chain stopper transfers the pull generated by the anchor and chain to the ship body in order to reduce the winch’s load and protect the gypsy winch. The gypsy winch chain can be stainless steel anchor chain and galvanized anchor chain. 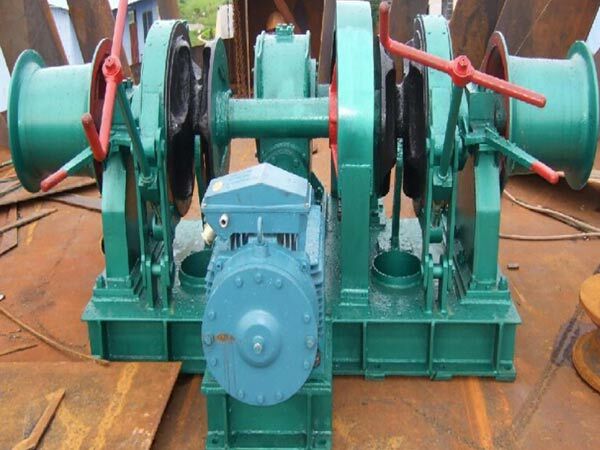 The gypsy winch can also be known as gypsy anchor winch since it is mainly used for ship anchoring work. Windlass gypsy should have independent prime mover, the brake device on gypsy wheel should be work reliably, the clutch should be set between the chain wheel and the load axle, and the brake and the clutch should be easy and reliable to operate. Chain drum, chain stopper and windlass gypsy wheel should form one line when the anchor chain is let out. Gypsy winch has rated pull capacity and rated pull speed, the rated pull capacity can be demonstrated by two number and they are operating load and the maximum weight. The maximum weight refers to the heaviest weight the gypsy windlass is designed to bear, and the operating load refers to the load that the windlass actually bears. The size of the chain wheel should match that of the anchor chain, otherwise, the chain may jump off the wheel when the winch is operating especially when the operators let out the chain. The conformance of the chain wheel with the chain contributes to the effective work of the gypsy winch in anchoring operations. 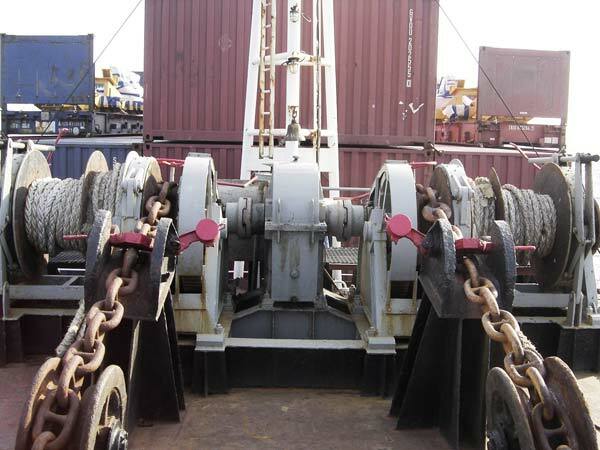 Chain gypsy winch is widely used on ship for anchoring. Ellsen designs and produces different types of gypsy windlasses, which can be powered by electric drive, hydraulic drive and diesel drive, one or two gypsy wheels are optional according to your needs, and so are warping head and winch drum. 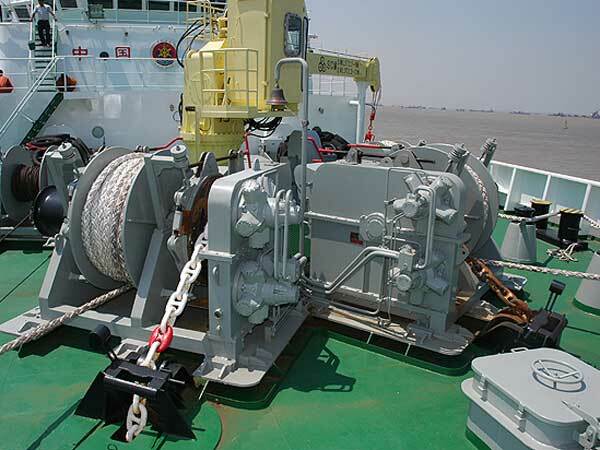 Ships are with different sizes and weights, so the winches should suit the ships to make sure the high efficient work during the anchoring operations. We have variety of options and solutions for your boats, just feel free to contact us for more details about our gypsy marine winches, and we believe that you will be satisfied with our wholehearted service and quality winches.